Getting ready to wash it. Hard to believe a car I’d driven in 2016 had made such an impression on me. When I grew sick of issues with the ’09 F150 I knew what I wanted. Back in 2016, during my adventure, I’d rented a car for a few days to find something suitable to drive home. When I arrived, they offered me a Nissan Sentra or something similar. Having a 6’7″ father in law, I had asked if they had anything else. 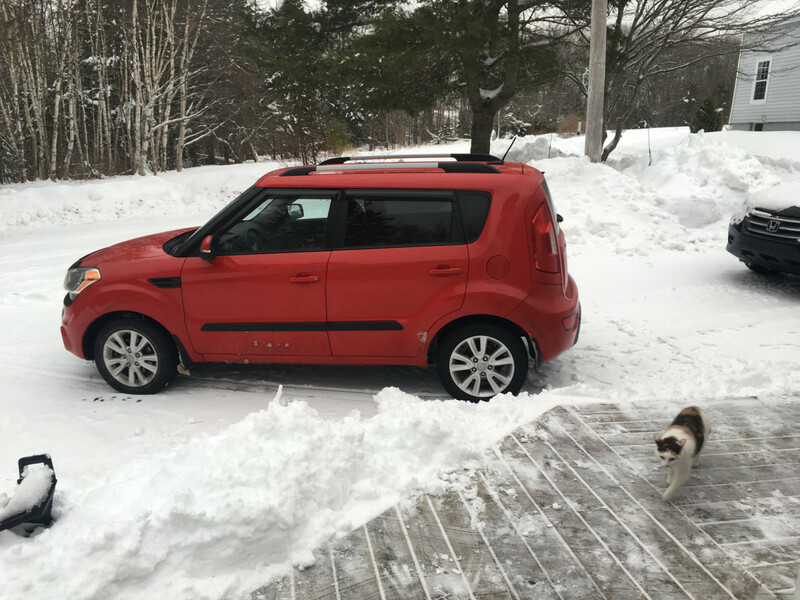 They did – a red Kia Soul. Liking the shape of it, I took it. The rental was red. My car is red. Honest, it was a coincidence! I really liked everything about it. It felt solid, and had lots of room. Easy to maneuver, good on fuel, peppy. Logically laid out controls, nice orange/red backlighting on the switches. Loads of room for my father-in-law, too. I couldn’t fault a single thing about it. It made a good impression on me. Fast forward to January 2018. I’d fixed the rocker panels on the F150, and I’d noticed some spots on the box starting to bubble and lift. When it was cold, I could hear the exhaust manifolds leaking again as well. Not wanting to drop another $2000 getting the manifolds done for the second time in two years on a truck that was going to need the box fixed, I figured it was time to trade it in. I don’t have the patience to deal with tire-kickers. Having had such a good experience with the Soul in Vancouver, it was the only thing I really wanted. I had a price range in mind, so I looked locally – but there wasn’t much in the area…two white base-model Souls with the base 1.6 engine, and no cruise control. No thanks. 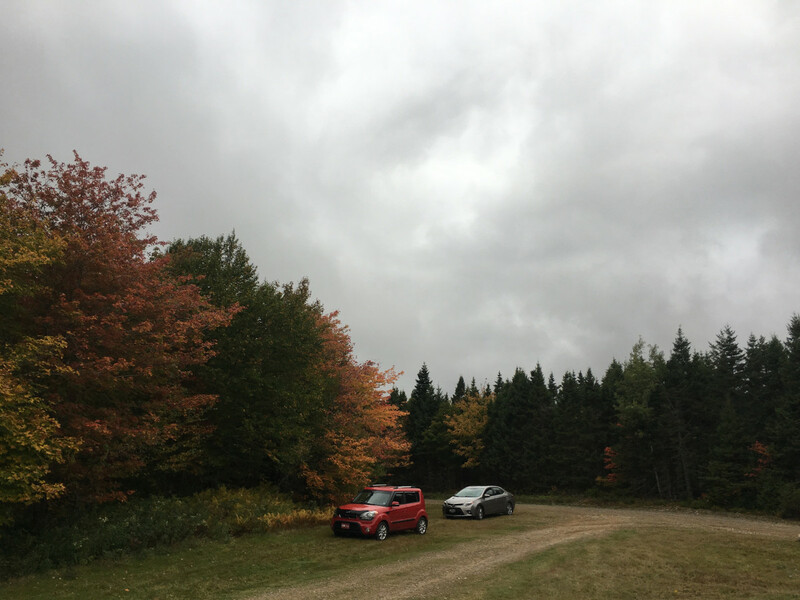 A dealership in the Annapolis Valley had three there to pick from, so after speaking to the salesman, I made the 5-hour trip. One was newer, and outside what I wanted to spend, and the second one was a base black model. No thanks to that – too hard to clean. The red one was a mid-range model, the 2U – which was nicely equipped with power windows and remote locks, cruise, AC, heated seats, Bluetooth and steering wheel controls, aluminum wheels and a roof rack. It also had been rust proofed from new, and always serviced at the dealer. They gave me a good trade on the truck, and the difference in price wasn’t much. The dealership treated me well. It’s about as perfect as I can ask for. It’s roomy, easy to get in and out of, and good on fuel. I love the looks, both inside and outside. It isn’t all over the road in the wind, and it handles pretty well. As far as snow goes, it’s good too – better than a lot I have driven – though I think the high ground clearance helps. Brakes grab really well, and it’s peppy. The 6-speed transmission shifts well, too, with no abrupt shifts or flaring between gears. The engine is a little noisy when it’s cold, but once it warms up it’s quiet enough. Fuel economy is OK – it averages between 25 in the winter and 30 in the summer. As far as driving it, you sit upright in it, and all of the controls fall well to hand. All of the switches on the dash, and the radio, are backlit in an orangey-red hue, which makes them really easy to see at night. The cluster has backlit white numbers with red needles – not bad either. I’ve had it just about a year now, and I still love it. We’ve used it for weekends away, and for hauling stuff too – it’s good enough for the three of us, but ask one of my daughter’s friends to go and add their stuff, and it’s too small for going away – we’ve had to use the CR-V. Another foot or two added on the back of the cargo area would make a world of difference. I much rather it to the CR-V for comfort and driving, but the CR-V beats it in space and fuel economy. 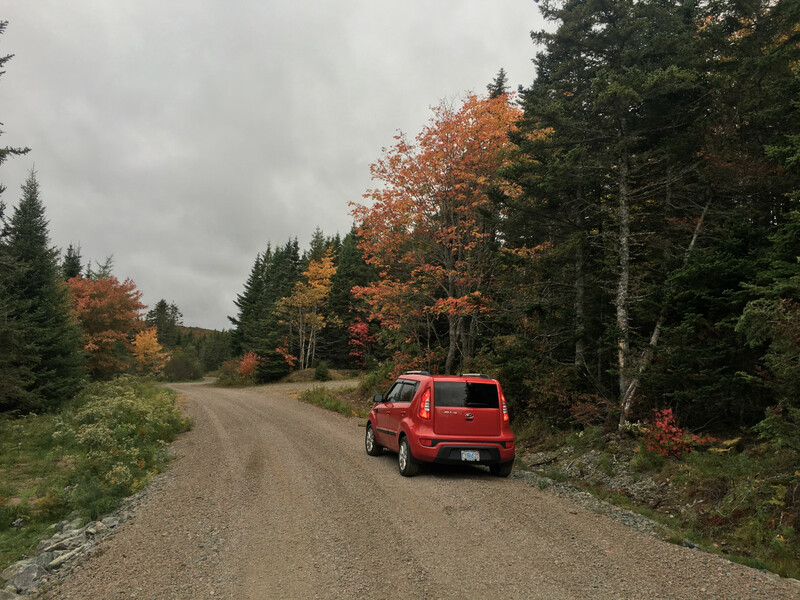 Travelling back woods roads to see the fall colours. Kia sure has come a long way in the past number of years. This is a well-made car, and has given me no trouble in the year I’ve had it. 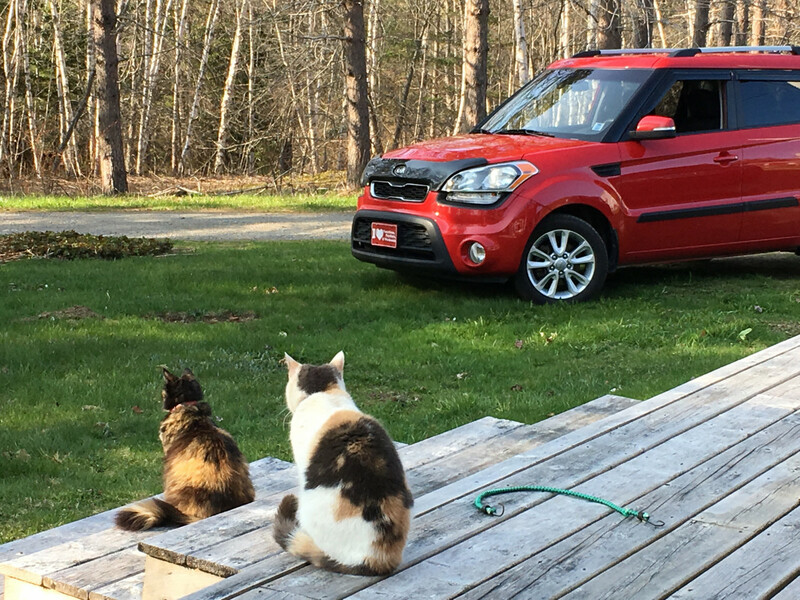 When it’s time for another car, it’ll probably be a newer Soul. It does everything I want in a form factor I love. Well, we’re up to date – at least for now (January 2019). I’ll continue with the weekly writeups on some other items – the tractors Dad and I have had, and his classic cars, perhaps, as well. I hope you all have enjoyed it as much as I have had reliving the memories of cars gone by. I’ve had a few Souls as rentals and found them roomy and pleasant to drive as well. Your articles are always a well written and interesting read, and I look forward to seeing more. Thank you this story. As much as I favor Hondas and Toyotas for future purchases, the Soul temptingly tugs on my mind. That may be because it is a suitable replacement for my well loved 5 speed PT Cruiser that comfortably and reliably carried me through 13 years of trial and tumult. Your Soul is a first gen model. My understanding is that the second gen model has a bit more interior room in what seems to be the same form factor. In a sea of look-a-like vehicles, the Soul stands out. I too look forward to your write ups on tractors and classics. As a NYC denizen, I know nothing about tractors. It’s a very pleasant little car. It reminds me of the little Horizon I had years ago. 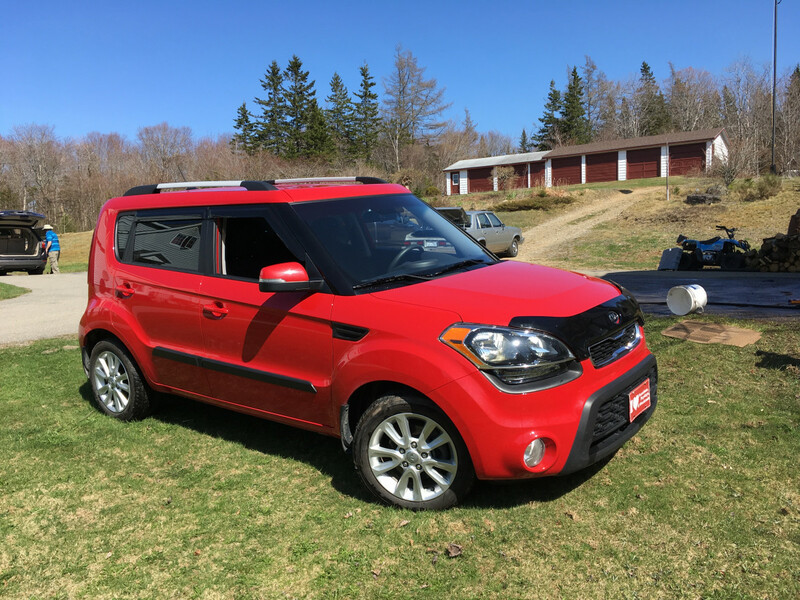 I think the second gen Soul is better in every way – a little bigger- but much more solid and quiet. 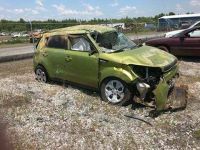 In May 2018, he either fell asleep or passed out while driving and actually jumped a concrete curb, went nose first into the ground (leaving his mirrors embedded into the dirt, before flipping and taking out a 6×6 fence post in the process. He nearly died from injuries but he’s doing fine now. I thought the car held up pretty well. We’re on our second Soul, a 2015. The first was a 2010. Trouble free driving for 8 years and counting, and the best warranty in the car business. 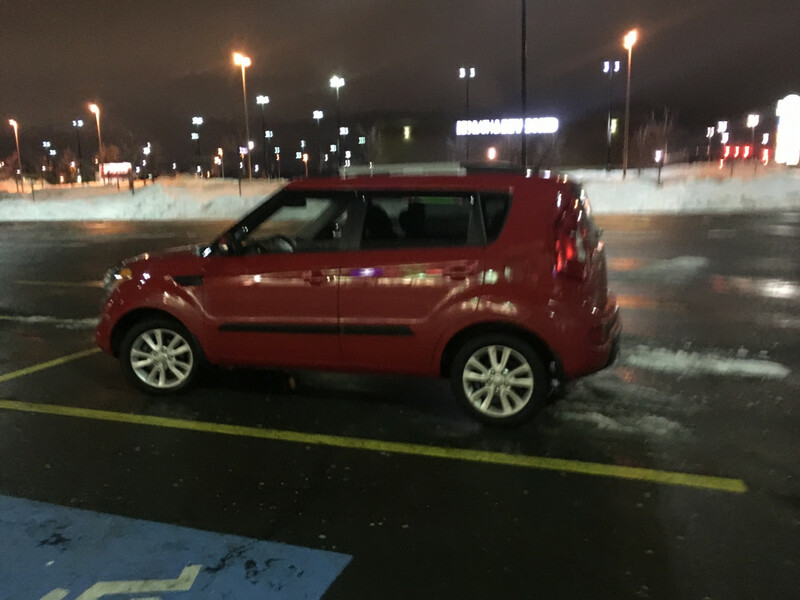 I have a 2012 Kia Soul I bought used in 2016. Mine is black and is the base model and black. it has the 1.6 litre and is a 6 speed standard. It is a nice vehicle and is fun to drive. It is practical to haul stuff with, has great controls, and so far has been reliable mechanically. I love the visibility in the Soul. Like the height of the vehicle. At times, I would like the extra foot or two in the back for cargo. I figure i can haul stuff that is three feet wide to fit through the rear hatch and about for feet long with the rear seat folded down. The past year has been a lot in maintenance and repairs. New brakes all around, a new battery (replacing the original), a windshield, spark plugs, and wheel alignments. All fairly routine. Mine has been good in the soon and I have studded snows and I like standard shift which I feel helps a lot. Sometimes I am cautious though as it is a high vehicle and I worry about skidding sometimes when it is bad. I live in Maine in a rural area. Overall a great vehicle and one I am happy with! Also like the simplicity of the base model and the standard transmission. Also fairly easy t work on in the engine compartment. Glad you are enjoying yours, Marc! The Soul is a car that has intrigued me for quite awhile, but I have never spent any time in one. It is a car I would consider if I were to replace my Fit. Your experience echos my own with modern Kias. They are solid, well put together, and are reliable. And the Soul seems to have more personality than anything else in the Kia lineup. I would love to drive one sometime. I see that the 3rd generation Soul is about to hit showrooms if it hasn’t already. Amazingly, the styling/shape stay close to the original though some folks say they don’t care for the rear end styling with a light bar that loops over the top and sides of the car. I have always liked these, but the factors that have kept me from buying one are the fuel mileage for such a small car with a small engine, and the stories about the whole dealer experience. In my area, Kia dealerships are owned by the same group and therefore you have to drive a good distance to get a decent deal. They also advertise heavily and the tv ads are reminiscent of those horrible car stereo ads from the 70s-80s. I’ve been intrigued with the Soul for years now, and while having sat in several, have never driven or ridden in one. It seems extremely usable and versatile and its frugality is really appealing to me (funny how priorities or at least perceived priorities change over time even without concrete external causes). I find the styling to be excellent, not offputting and there is no reason an economical and inexpensive vehicle needs to look boring. I don’t know, I could perhaps see one in my driveway at some point. I hope you keep on enjoying yours. Marc, your COAL series and your writing style has been thoroughly enjoyable. Looking forward to your future posts as well. Thanks! Agree; although I have not commented on many of them I have enjoyed each of your posts. I also like to read a perspective from the other coast. Looking forward to reading more. Had a rental Soul when my BMW E46 wagon blew it;s cooling system (for the second time) and took the headgasket with it before Thanksgiving in 2015. I wasn’t sure about it when I went out to the lot. After driving it long distance over the holiday, I became a Soul fan. It fit all my stuff, plus carried two retired Greyhounds and a whippet/terrier without the usual “he’s touching me” issues. It was quick enough, comfortable enough. And for the MSRP, a tremendous bargain. And probably an even better value new. I’ve got a 2006 Volvo V70 now and if I had to replace it, a Soul would be on my short list. As you’ve discovered, you can pack a lot of stuff into one of these cars. Amazing, really. My parents are looking for a dog hauler in the near future for their two retired greyhounds. Knowing the Soul has the space to fit the pack is good to hear; I assume the step-in height isn’t troubling for aging dogs’ hips? I like the Soul myself, but never suggested the car to them, for doubt about those details. Funny thing is that, while I hated the styling when it first debuted, I have come around to find it charming. Also, the Soul is a rare car that I actually like in White. I was in edit mode. It shoudl work now! Ah! There we go. Thanks. 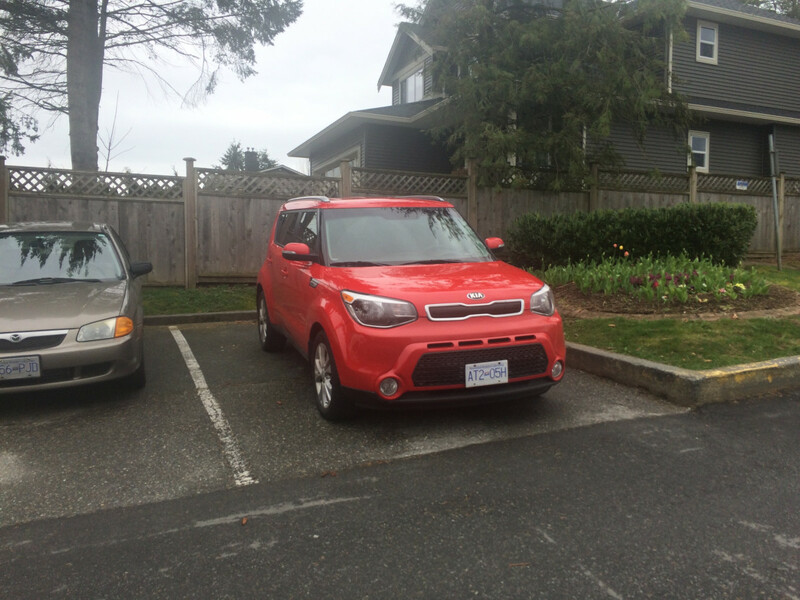 We’ve rented a mid-trim soul with the 2.0 and it is a fantastic little car. Lots of passenger space, reasonable power and comfort, lots of visual character. Its size makes it nimble, but the driving character is pretty bland, and 30mpg was about the best we could muster in it. I’d personally go for a Golf for those two reasons, but Kia should be proud of this product. When Toyota dropped the original winning formula for the first gen xB, Kia picked it right up and bludgeoned them with it. This car was a home run. As a former xB1 owner, I should have been the perfect customer for one of these. Two things stopped me. At least at the time I was looking at them, the combination of cruise control and manual transmission was not something KIA wanted to offer to US buyers. That’s one. The second is the abysmal fuel economy. Regardless of engine or transmission, all models seem to be rated at 24mpg city. The lack of aerodynamics isn’t really the issue at city speeds, and 24mpg from a 1.6 or 2 liter car just strikes me as substandard. Comparing EPA figures, the xB1 got 4 mpg more in town. That’s a lot. Nice car. I like the Soul. Around here it is the defacto car for those folks that would have bought Panther cars. They are roomy and easier to get in and out of. Actually you can get have a manual transmission Kia Soul with cruise control. You can also add factory cruise control to a automatic Soul that did not have it also. Kia America will not sell you a manual transmission car with factory cruise but for less then $120 you can add it using Kia OEM parts. Get good used steering wheel(minus airbag) from a 10-13 Soul that has cruise and radio controls. Unbolt your steering wheel and remove it. Swap the eBAY/Junkyard one in and bolt it up and hook up all the connectors. Then attach your air bag. You now have working cruise control and working steering wheel radio buttons. Attach steering wheel back on and then the airbag. Connect the battery back up and you now have cruise. No cutting/ splicing etc. No modules to program. It is all plug and play. Takes about an hour to do when taking your time. I think Kia and Hyundai have up their game. I looked at the Soul but I bought a Elantra instead. One of most Ugly vehicles in history . For me I Not be seen dead in this !! Had one as rental in Montana a couple of years ago, and had similar very good impressions. Great article. These were on my list for the duration of my eight month casual car shopping. The problem was finding one locally with a manual transmission that wasn’t a stripped down penalty box. The simplicity/difficulty of adding cruise control was also considered in those cases where you can’t have one without the other. It really is a mish mash of features when the number one priority is a manual transmission. I wasn’t about to pull the trigger on a low price high mileage one either, Not with the way most of the general public fails to maintain vehicles. In the end it wasn’t to be, a surprise contender popped up at a no haggle lot and within a week the price dropped by 2K putting it in the territory of too good to pass up. Maybe next time.